WHEN Datuk Dr R Palan, the founder and substantial shareholder of SMRT Holdings Bhd, was mulling a proposal to acquire a stake in ailing Masterskill Education Group Bhd (MEGB), people around him were doubtful that it was a wise move. The reason is simple. MEGB (fundamental: 0.80; valuation: 0.60) is seen as being in deep trouble. And worse, the company has been perceived negatively since its executive director and major shareholder Siva Kumar announced last year that businessman Gary How Soong Khong had entered into an option agreement to buy MEGB at a hefty premium over the market price. The option was not exercised but the news had swung the share price. Despite that, Palan is confident that he will be able to turn around MEGB. After all, he was able to turn around Cyberjaya University College of Medical Sciences (CUCMS) in just a year. Now, he has set a goal to turn around MEGB in exactly the same time period. In an interview with The Edge, Palan says MEGB is not debt-ridden, as what people think. He gives credit to Siva Kumar, despite some of the questionable business deals that he had got MEGB into, for cleaning up the group’s balance sheet and giving it a clean slate. “What we have on the downside is basically a perception issue, which is negative ... and a revenue problem. The cost problem has already been fixed by the current shareholder. All that is required is to fix the perception and revenue and just run MEGB the way a university should be run. “MEGB has many programmes including MBBS, pharmacy, physiotherapy and radiography. All these programmes are in place. We just have to gain the trust back ... from the students, parents, authorities. And then, of course, to bring in good faculties,” says Palan. SMRT’s (fundamental: 1.50; valuation: 1.80) unit Strategic Ambience Sdn Bhd (SASB) and its private equity partner Creador, via Arenga Pinata Sdn Bhd, have entered into a conditional share sale agreement to buy Siva Kumar’s 30.75% stake in MEGB at 60 sen per share. SASB will buy a 23% block from Siva Kumar for RM50.9 million, while Arenga will acquire the rest. Post-acquisition, Creador will be the largest shareholder of MEGB with a 27% stake, as it already holds 19.26%. To finance the acquisition, SMRT is raising about RM36 million through borrowings, and at least RM14 million through a private placement. For the financial year ended Dec 31, 2014 (FY2014), MEGB made a smaller net loss of RM43.3 million, compared with the RM162.8 million in FY2013. The group had RM22.5 million in cash and long-term borrowings of RM5.4 million as at Dec 31, 2014. SMRT and Creador are looking to sell off the campus buildings. They want to use an asset-light business model. Siva Kumar will be buying MEGB’s facilities in Petaling Jaya and Johor Baru for about RM80 million cash. In MEGB’s financial statement on Dec 31, the group listed RM193.95 million worth of assets that are available for sale. Meanwhile, its property, plants and equipment were just valued at RM25.6 million, compared with RM134.3 million in the preceding year. The proceeds from the disposal of assets will be used as working capital, says Palan. MEGB will be self-sustainable going forward without the need for a capital injection by its shareholders, he adds. Currently, there are about 1,850 students at MEGB’s Asia Metropolitan University (AMU) and Masterskill Global College (MGC). Palan says MEGB will be profitable if student enrolment were to increase by 500. After the closing down of several campuses such as those in Kota Baru and Johor Baru, and consolidating the students into AMU’s main campus in Cheras, MEGB’s total capacity has been halved to about 10,000 places, says Palan. “MEGB is only operating at 20% of its total capacity right now. It does not mean we will grow the student numbers to 10,000 within the next two years, which is not the point. We want to go back to providing quality education rather than [having] quantity,” says Palan. Although many still think nursing is the main course provided at AMU and MGC, Palan reiterates that it is no longer the case. MEGB has scaled down its nursing programme while growing more in-demand courses such as medicine, physiotherapy and medical imaging, he says. Why didn’t SMRT acquire a controlling stake in MEGB? Palan admits that he is a conservative entrepreneur, who isn’t comfortable with high borrowings. SMRT’s gearing is expected to increase to about 0.7 times following the acquisition, which Palan considers high. On Jan 29, SASB entered into a management agreement with MEGB to provide advisory and management support services in respect of the operation of the education group. SASB has custody and control of MEGB’s assets. As for SMRT, the group is focusing on a contract to provide primary school teachers in 600 schools in Selangor, Perak, Kedah, Penang and Perlis with English language training, as well as the operation of CUCMS, says Palan. CUCMS is expected to contribute RM5 million in profit after tax in FY2014, on the back of RM50 million in revenue, he says. 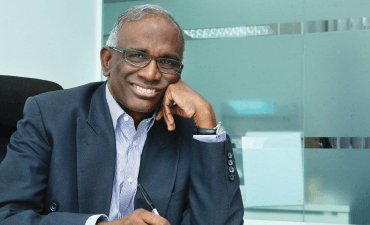 CUCMS has about 2,800 students, with 750 enrolled in its medicine programme, he adds. Although SMRT is expanding in the tertiary education sector, the training business will still provide 15% to 20% of the group’s revenue, says Palan. The English language training contract contributes an annual revenue of about RM30 million. For the nine months ended Sept 30, 2014, SMRT’s net profit more than doubled to RM6.88 million, from the RM3.17 million in the previous corresponding period. Currently, there are only three vendors who have been appointed by the Ministry of Education to provide the English language training programme to primary school teachers. The vendors cover only about 1,800 schools, out of the 10,000 schools nationwide. This shows that there are opportunities for SMRT to scale up the English language training programme. However, Palan says it is up to the government to expand the programme to include the entire primary and secondary education systems. With the acquisition of the stake in MEGB, the management services, operation of CUCMS, as well as the English language training programme, SMRT has a full plate. Since SMRT’s announcement of the proposed acquisition of the stake in Masterskill on Nov 10, 2014, the group’s share price has dropped by 35.5% to 55.5 sen last Thursday. Nonetheless, over the last one year, the share price has risen by 158.14%. This begs the question: Should investors join Palan on his journey of turning around MEGB now, or wait a year to see whether he is successful?